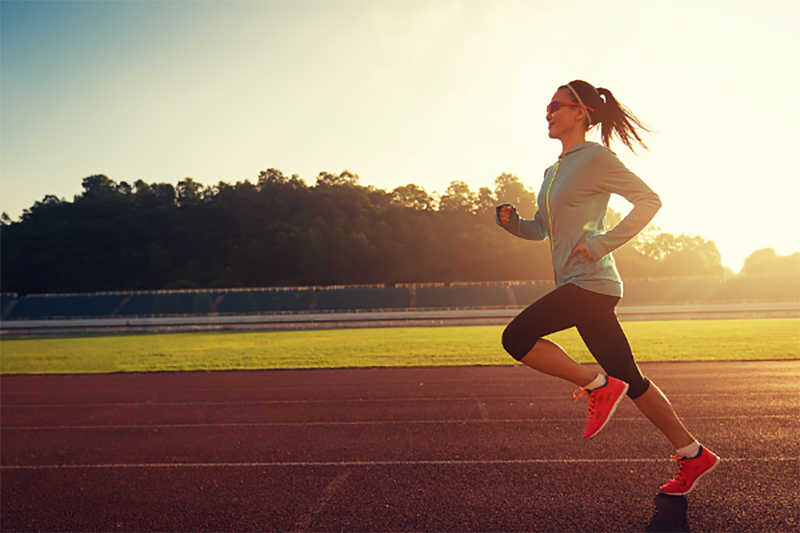 Get your fitness back on track! Set goals for success. This time of year, everywhere you turn you are hearing “New Year, New You!” The gym is full, people are posting about their workouts on social media and everyone is resolving to get fit this year. Whether you are starting to run or walk for the first time in long time, or the first time ever, this is the starting line. Our Fit Experts are here to help you find the gear you need to be successful, no matter what your fitness goals are, and we’ve got a few tips to help you get and stay back on track. The only way to run a race is one step at a time. Whatever long term goal you’ve set for the year, break that goal down into smaller, more manageable steps. Instead of proclaiming “I’m going to run every day this month” set a goal of running 3 days. The momentum of accomplishing smaller, manageable goals will fuel you to keep going and stick with your long-term plan. You know what happens when you cross a finish line? You set another goal. Fitness is a journey, not a destination and the sooner you embrace the journey the more manageable it will become. Small successes over time lead to big results, but success doesn’t come from what you do occasionally, it comes from what you do consistently. Consistency is key and creating habits you enjoy will help you be consistent. The best way to enjoy the journey? Find a friend and do it together! You are who you surround yourself with, so if you want to be a better runner, spend time with other runners. Don’t know where to start? Join us for a free run with the F2R Run Club at your local Fit2Run store and meet new running friends! 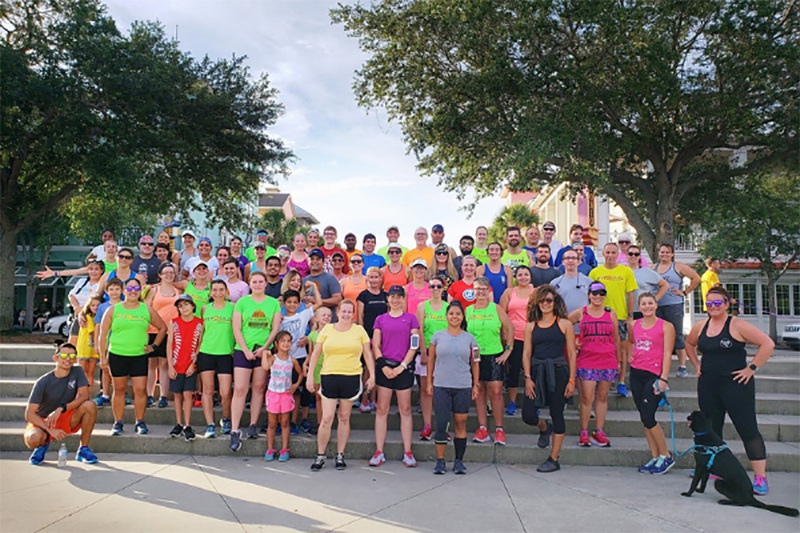 All distances and paces are welcome, and our team will be happy to share their favorite local routes and connect you with others with similar goals. Each pair of shoes has different features and benefits that work best for different types of runners. Running in the right shoes for your foot and gait can make a big difference in preventing injury, as well as making your run more enjoyable. 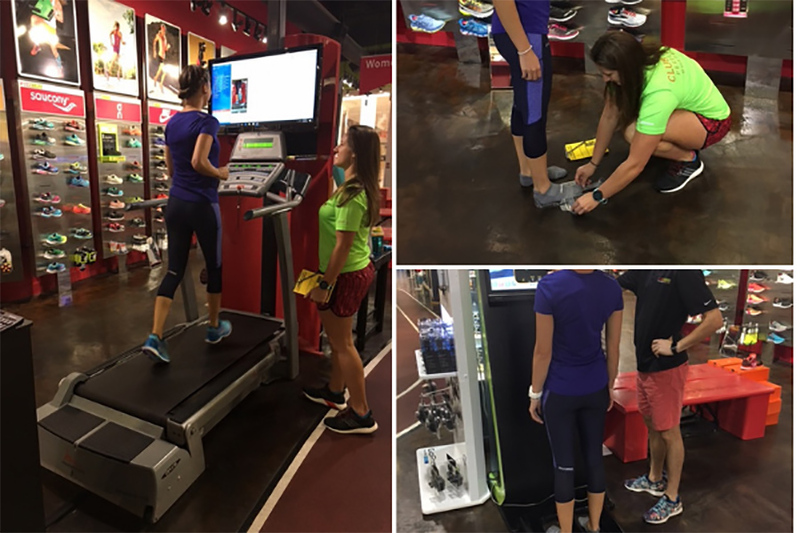 If you’ve never been through our custom fit process, come see a Fit Expert at your local Fit2Run store and we’ll help you find the gear you need to succeed. If you’ve been fitted and know what type of shoes you need, make sure the tread and cushion have not worn out before starting a new training program. Running shoes are designed to be worn 300-600 miles for peak performance and running in worn out shoes could lead to injury or prolonged recovery. A goal without a plan is just a wish, and a plan you don’t keep track of is as good as no plan at all. 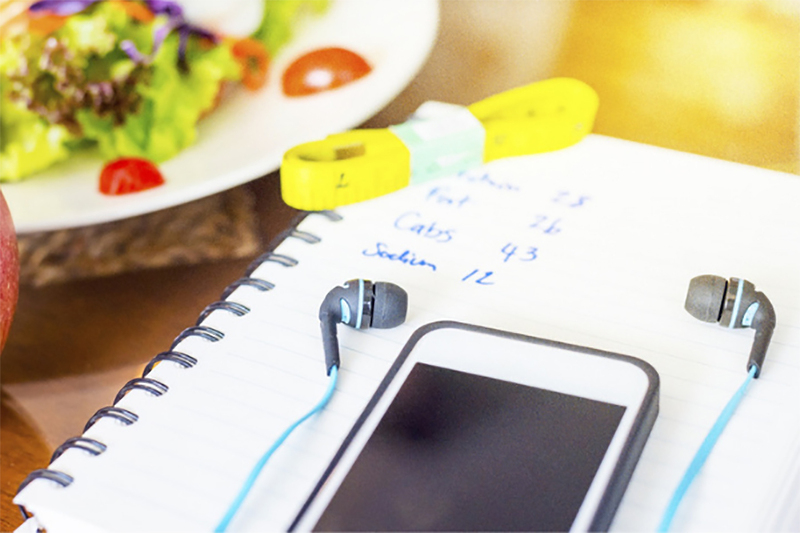 Keep track of the miles you log, the times you achieve and your cross-training activities. Looking back at your results and progress will help you asses what’s working, what’s not and keep you motivated. A GPS watch is a great tool for tracking, and additional features can give you all the stats you’ll ever need. Not sure which watch is the best fit? 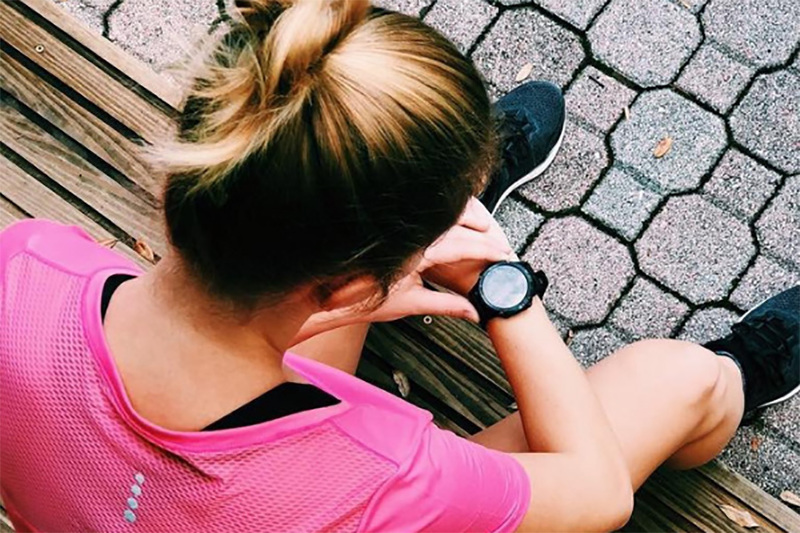 Check out our Garmin Guide for a crash course in our favorite models or visit one of our local stores and talk to a Fit Expert about your needs. Do you know what’s even more important to your overall fitness than diet and exercise? SLEEP! Make sure you are getting enough sleep, and scheduling rest days into your routine. Your body can’t perform if you don’t give it a chance to rest and if you aren’t taking time to recover you are more prone to injury and burn out. On rest days make sure you are staying active and take a walk, stretch or do some yoga and roll your tired muscles. 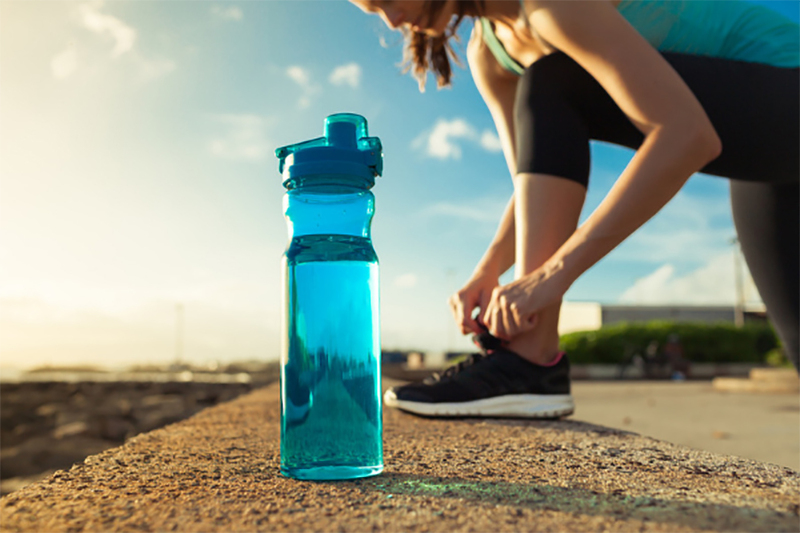 With any fitness routine fueling your body with nutritious food and enough water is key to getting the best results. Don’t let your hard work go to waste after sweating it out and logging extra miles by refueling with junk. When it comes to exercise and nutrition, 80% of your results will come from diet and 20% from exercise. Fuel your body with as many whole nutritious foods as possible and make sure you are drinking enough water. After you’ve filled up on healthy foods you don’t have to deprive yourself of your favorite treats, just make sure to enjoy in moderation. Just like finding an exercise program you enjoy is critical to your success, so is finding healthy food you enjoy. Don’t think of eating healthy as a diet, think of it as fuel to help your body run and give your body the best fuel available! Whatever your health and fitness goals, we’re here to cheer you on every step of the way. Connect with us on social media or stop by a local store and share your goals for this year! It’s 2019 and time to get back on track, and the starting line is here.